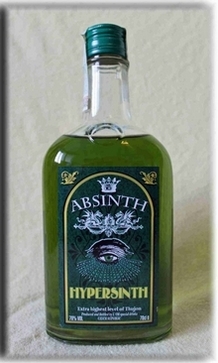 Location: Home » ABSINTHE » SWISS ABSINTHE » ABSINTHE LA VALOTE T..
Absinthe La Valote Tradition from Switzerland, in which the absinthe has its origin, a new absinthe of the Distillery La Valote from the Val de Travers in 65 vol. . The distillation of absinthe lies La Valote tradition the three La Valote burner-freeman, who keeps an eye on it, in the hands of one in 65 to become just for the myth of the "green fairy." La Valote guarantees the manufacture of absinthe due to traditional type. With this absinthe, Willy Bovet accepts responsibility this exceptional La Bleue for the manufacture. A La Bleue, that protrudes independently from the other Val de Travers La Bleues, was created here because here so much anise become used but above all also wormwood. Furthermore, also the percentage of alcohol is chosen higher here, as with traditional La Bleues, that only by the 50 percent of vol. alc. show. The philosophy of La Valote: It remains a small business so that You can offer to the customers good at a moderate price until very good quality. The absintheburner is called "Willy Bovet" here. Among other things, he uses wormwood, balm and Ysoop from the Val-de-Travers. The absinthe clouds La Valote Tradition 65 very intensive wormwood-taste very intensively with simultaneous with moderate anise-grade in 65 vol. . A successful alternation of other La Bleues.